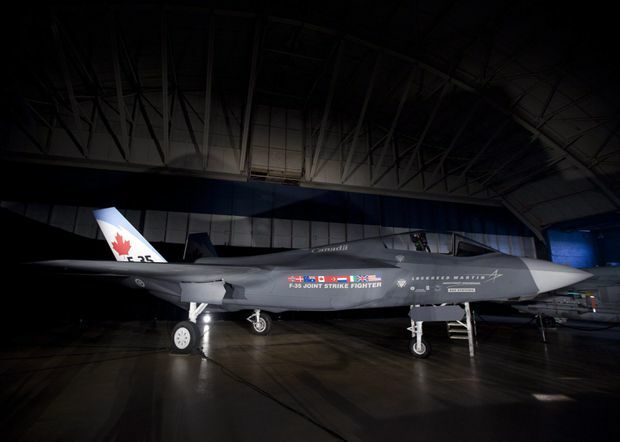 A F-35 Joint Strike Fighter is seen in a hangar in Ottawa, on July 16, 2010. The Defence Department says Canadian companies have won more than $1.25-billion in F-35-related contracts over the years. Yet there are also costs to being a partner; Canada has so far invested more than $500-million into the program over the past 20 years, including $54-million last year.